Thatcher and Pedicino start the program by hyping the joint card between Smoky Mountain, New South, and World Championship Wrestling that will take place tomorrow night in Miami, Florida. 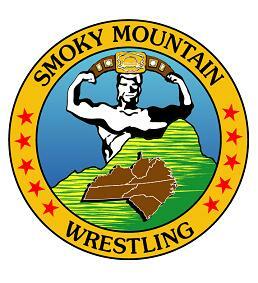 There will be a big 6-Man match on the card, which will be one of the contests Smoky Mountain will participate in. The main event today will pit Dutch Mantell, Butch Reed, and Bobby Eaton against a team managed by Paul Ellering. That team will consist of Mick Tierney, The American Pitbull and the newly signed “Real Deal” Glen Kulka. The winner will represent SMW in that match Sunday night. Thatcher puts Kulka over as a three sport star, citing his pro hockey and pro football background, in addition to wrestling. Bobby Eaton comes out to speak about “all this”, wondering where Adam Pearce will be for this match. Thatcher brings up the recent success that Pearce has had against the veteran Eaton. Bobby admits to “hitting some bumps in the road” but he may not “get a chance to smooth out the pavement” if Pearce is nowhere around. Just then, Pearce comes out and blindsides Eaton but he is not alone. Another wrestler is out to help put the boots to Eaton. Pearce and his partner lift Beautiful bobby up into a double hangman’s backbreaker and drop to the floor. Paul Ellering comes out to explain things to a “befuddled announcing duo”. Over the years, he has made various “investments” for the men he has wrestled. That was part of his job as a manger. But, Adam Pearce has been “a special diamond in the rough”. He soaked up everything he had to teach, both financial and wrestling related. When Adam came to him “wanting to branch out on his own”, Ellering said it was like the joy any teacher gets when a student’s light comes on. Paul happily released Pearce from his contract and allowed him to form a team with “Shooter” Brent Albright called The Hangmen. And, that new team helps Pearce’s old team today. It’s a win, win. Ellering presents Pearce with his own copy of the Wall Street Journal. Eaton is on the floor, writhing in pain, as the show goes to break. A video from Jack Brisco, the WCFL President, airs, He says that The Bucksnort Blaster has filled out all the paperwork that was needed to wrestle in the WCFL. He will be allowed to compete. But, if it is revealed to be Tony Anthony under that hood, The Dirty White Boy will be barred from all WCFL promotions forever. Boni talks with The Nature Boy and The Number One Hillbilly in the ring. Wright says that it will be the joy of his life to see that ingrate Tony Anthony barred from the sport he claims to love. Landell says it was the worst mistake of DWB’s career to take part in the “I Quit” fiasco. He will enjoy the moment, as well, when that “stinky sock comes off the lice infested head of Tony Anthony”. HIS HEAD WILL BE SHAVED BALD. The match will take place at the special “Back to School” card on August 26th at the Newport Armory in Newport, Tennessee. Buddy pleads with Wright to fix this. The Bucksnort Blaster exits through the crowd. Fine gives a good accounting of himself here but Anderson gets a submission from Reggie B. with a standing hammerlock after some intense Anderson style arm and shoulder punishment. Ice Train comes from behind Brad and knocks him out. Thatcher wonders when this will end and asks Train that very question at the desk. The response adds new fuel to the fire, literally. He says that it will be over when “this generation burns”. Train holds his fist high in the air and snaps to attention in a military fashion. Les drops his jaw in shock, saying he didn’t see that one coming. Pedicino mentions that not only will the winner here get to represent Smoky Mountain Wrestling in Miami tomorrow night but they will be designated the number one contenders to the Southeastern 6-Man Titles currently held by The Cowboys from Hell. Eaton still is suffering from the beatdown earlier in the show. In fact, Ellering’s trio has Eaton in such a bad way that Bobby’s only offense consists of last minute kickouts. Reed gets a hot tag, eventually and clears the ring of Kulka and The Pitbull. That leaves him with Tierney, who covered him with an Irish flag last week. Mick hits Reed with a low blow to get another advantage. Eaton has recovered enough to “take matters into his own hands”. He picks up that same Irish flag and swings it at Tierney, who is being whipped into the ropes by Reed. Tierney reverses and Eaton hits his own partner. Dutch and Bobby are blocked off by Kulka and The American Pitbull. Reed is pinned. Paul Ellering’s team is headed to Miami. Reed is furious when he gets his wits back. He starts to shove Eaton. Dutch has to be peacemaker. It does help when Ron Fuller, the SMW Commissioner, comes out and tries to smooth things over by announcing two matches for next week. Dutch Mantell will face The American Pitbull in a “Loser Eats Dog Food” match while Butch Reed gets Mick Tierney, one on one. Reed leaves “calmer but gives Bobby a death stare”, according to Thatcher. Before the next contest, an interview with Tygress airs. The young lioness reiterates her desire for “the old biddies to step aside and have the new blood take over”. She makes here point even more relevant by challenging the “old biddy with the most real grey hair around here”, Velvet McIntyre, to a match today. McIntyre puts Tygress in her place with a victory roll. Brandi Wine and Jillian Hall jump into the ring quickly after the bell and things don’t look good for the winner. 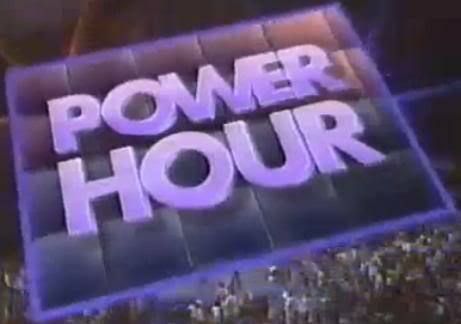 That is until Brittany Brown and Amy Lee rush to the aid of McIntyre. Tygress thinks better of fighting the battle now and retreats with her forces. The Cowboys from Hell (Scott Putski, Cedric Crain, and Bobby Duncum, Jr) are standing around a large crate from Fed-Ex. Duncum says that this is the present they will give to PRIDE Union, the North American 6-Man Title holders, in Kingsport tomorrow night. Putski asks Duncum what the gift is. Duncum whispers the answer to Scott, who relays it to the Ced-Man. Together, they say “It’s Cowboy Time”. Highlights from last week’s Whitey Caldwell Memorial TV Title Battle Royale are shown. The final two competitors turn out to be Shawn Stasiak and “Prime Time” Brian Lee. This match is all over the gym. In the end, Wright passes an object to Lee, out of the sight of Hickerson. Lee, with the object in his fist, takes out Stasiak with a heart punch off a whip into the ropes. The hold that Shawn’s late father used to win many of his championships is the hold that costs him a title today. Lee makes the cover for the win. BRIAN LEE IS THE NEW WHITEY CALDWELL MEMORIAL TV TITLE HOLDER. Lee and Ron Wright celebrate like they have won the Super Bowl, as the show credits roll. Rough night for Bobby Eaton. First he gets attacked from behind and then accidentally costs his team a big match. Eaton has to keep one eye out for Pearce and may need the other one for Butch Reed. Doug Gilbert certainly made a statement in his quest to get some gold back around his waist but I thinking ******* off a Steiner is always a bad idea. Really excited to see this Hair versus Mask Match. I wonder what Buddy will look like bald can someone get DWB a ringside seat? Lee winning the belt just seems right. Kudos on how you are handling Adam Pearce/Ellering. Thought for sure Stasiak was leaving champion. Still time for him at any rate. Extra insult that Lee did with the heart punch. Tony Anthony under a mask seems to resurface every so often here, so it will be interesting to get the payoff here either way. Can't see Buddy getting shaved bald without serious consequences and maybe we get a swerve if the Bucksnort Blaster gets unmasked and it is in fact somebody else. Kulka and Tierney together bring back shades of The Syndicate from Memphis Power Pro. Seems like a group that is poised to take over here, especially with Reed following the Brian Christopher ideology of 6 man tag teaming. Steiner and Gilbert should be a good one when it goes down. Steiner has been built up well here into the top guy, deservingly so as he seems like the natural top guy in the territory. Gilbert could really hit sky high if he captures more of that loose cannon mentality, week to week. He really started being unpredictable around now and you never knew what to expect. He tries that with Steiner though and continues acts like here today to push him, and I don't like his chances.